New Arrival – 3 Caracal Kittens! 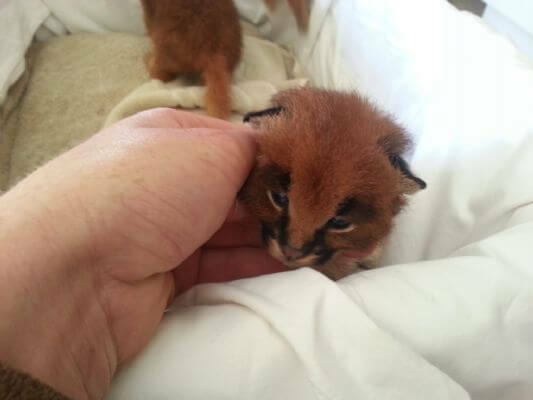 We have three baby caracals of just over two weeks old at the Wildlife Rehabilitation Centre. A farmer brought them to us earlier this month and said he found a jackal sniffing around near the den. We will raise them over the next few months and release them onto the reserve once they are weaned and can hunt for themselves.